New England dining is what you’ll find in Mt. Washington Valley’s North Conway Village in the heart of the White Mountains of New Hampshire. From quaint bistros to larger New England inspired hotels and restaurants, all serve the best hospitality, food, and libations. 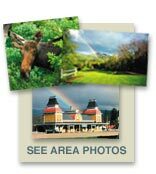 Many are within walking distance of the center of the Village and its many attractions, shops and galleries. Some have received awesome awards and others noted world-wide for their creative cuisine. 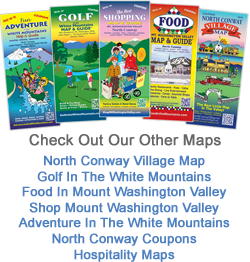 Check out NorthConwayCoupons.Com to see who in the Valley has the best coupon food deals ranging from FREE Appetizers and Kids Eat Free to $5.00 off your meal and 10%-20% off your check. While wondering around the Village before you eat, you can check out White Mountain artwork, New England made crafts (Zebs), or cross country ski, mountain bike or hike easy trails. You have it all in this quintessential New England village. And within minutes of all this are nearly a dozen world class ski areas and attractions like Attitash, Sunday River, Wildcat, Cranmore, Storyland and the Conway Scenic Railroad as well as the best swimming and fishing in the North Country along the Saco River. And don’t forget to shop at the more than 200 factory outlets that call North Conway home.